Browse our full lineup of vehicles and find the one that best fits you. Friendly staff, quick service, decent prices. I had to write a review about the people who work at this dealership. I drove up because after going to verizon to find out why my phone suddenly was not connected to my car. They said I had to go to a dealership and luckily there was one right across the street. The minute I pulled up a man came to me and asked what he could help me with. After 10 minutes and not able to do it he asked another employee to come to help. He had tried and was not able to do it either. Then another man showed up. His name was Metin Cihaner who after awhile solved my problem. All three men were so nice, polite, kind and caring. I am so sorry that I did not get the other names. After this care I would seriously consider buying a car from this dealership. Thank you all for your help! I just got a car yesterday from wesley chapel Honda Mohammed helped me. And I have to say i has the best service! They helped me with all my questions and I left with a car I absolutely love!! Thank you wesley chapel Honda for helping me purchase my first car!! 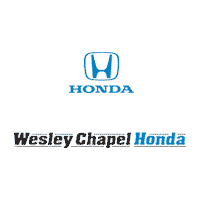 If you’re looking for a car dealership that doesn’t compromise on quality, visit Wesley Chapel Honda. We’ve been one of the best in the area for years, and there’s no way we’ll let our reputation fall to anything less. We have every Honda you could ever want, including both new and pre-owned models. Click to search our inventory. When you’re looking to get a new car, it can be hard to decide whether you want to lease or buy. Most people don’t have the capital to purchase a car outright, and we understand that burden. Thankfully, our terrific team of sales and financing professionals will guide you through the process so you feel comfortable with your car-buying experience. Honda has taken more than 50 years to cement itself as the best car company in America and abroad. With each vehicle, you’ll get versatility, reliability, and excellent fuel economy. Plus, most Hondas are assembled right here in the United States. Come visit and test drive an Accord, Civic, CR-V, or Pilot. You’re sure to find just the vehicle you need. Without your business, we’d crash and burn. That’s why we take any chance we get to give back to the local community. We support organizations such as St. Joseph’s Children’s Hospital of Tampa, Metropolitan Ministries, Habitat for Humanity, and Ronald McDonald House.